I’ve just finished Craig Weiler’s new book Psi Wars: TED, Wikipedia and the Battle for the Internet, and what a shocking read it is. Craig is a blogger on psi topics who has closely followed two related controversies of 2014, the censoring by TED of video talks by Rupert Sheldrake and Graham Hancock, and the adulteration of psi pages on Wikipedia. These episodes have brought to a head the tensions that have been building up for years over pseudosceptic behaviour, and Craig has been involved both as an observer and a protagonist. We know the story, sort of, but it hasn't been told with so much force and in such relentless detail. As is by now fairly well known, the TED administrators succumbed to sceptics’ complaints against Sheldrake and Hancock with an entire lack of critical sense, removed their talks, and then, faced with a storm of indignation, tried to compromise by giving space to hostile comments, while lamely clinging to the verdict of their science ‘advisors’ that both men were guilty of ‘pseudoscience’. As is so often the case with knee-jerk sceptics (in pretty much any area), they attributed positions to Sheldrake and Hancock which neither held, and made assertions that were frankly slanderous. Craig includes a lot of context for this, including a blow-by-blow account of the subsequent cancellation of a planned TedxWestHollywood event called ‘Brother Can You Spare a Paradigm’ that left the organiser seriously out of pocket. There’s a lot else besides. The narrative is interspersed with chapters that deal with such things as the scientific background on consciousness, facts about parapsychology and scientistic scepticism, also the most complete and up-to-date debunking I’ve yet seen of James Randi and the famous Challenge. There are also sections on the CSI /CSICOP and Robert Todd Carroll’s so-called ‘dictionary’, a collection of uninformed sceptical musings which, alas, is treated on Wikipedia as a key reliable source. Later chapters turn to the Wikipedia drama that unfolded during the summer, when hostile editors first degraded Rupert Sheldrake’s page in an attempt to destroy his reputation, then fiercely rebutted attempts to revert the changes, and finally tried to get sympathetic editors banned as trolls and sock-puppets - with some success. 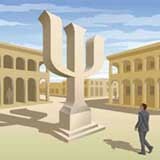 The book catalogues some of the most egregious problems, for instance the way credentialled experts on a given subject, including university professors and Nobel prize-winners, find themselves at war with dimwits who think they know better, and who use wiki-lawyering skills to get their way (this covers examples besides parapsychology). As far as Wikipedia is concerned the majority view is always the right one – which historically is indefensible. According to a thesis paper by Spanish researcher Filipe Ortega143, Wikipedia lost almost 50,000 editors in 2009. The core group of editors has picked up the slack. Who is this core? It is 87% male with an average age of 26.8 years. This hardly is the demographic to entrust with the world’s knowledge. In the real world we would never tolerate people that young being entrusted with the accuracy of an important encyclopaedia. One of the best sections of the book is an analysis of pseudosceptic thinking. An odd characteristic is that their statements about what parapsychologists believe don’t match statements by the parapsychologists themselves in their books and articles, as with the TED administrators. They seem unable to read straight – it’s as though the material they are reading transmogrifies in the passage from book to brain, so that it conforms to their own prejudices. Unkind readers (read militant sceptics) will call the book a rant. If so it’s several orders of magnitude better than the excitable, uninformed slander that characterises sceptic articles like this one by Coyne, and which truly deserves the term. Craig’s arguments are not just clear and orderly, they’re powerfully backed up by detailed research. Really this is about politics. As Craig remarks, and I completely agree, ‘The skeptics are to science, what the Tea party is to Republicans. They’re on the same side, but their radicalized attitude, just as with the Tea Party, presents both a solid base of support and sends moderates running in the other direction.’ As with the Tea Party, one gets the sense of a sceptic movement that is becoming ever more extreme, which is bringing the controversies out into the open. I know some of Paranormalia’s readers follow up my recommendations about new books, at least some of the time. From the comments that many of you have made over the years I think this is one that you will certainly appreciate. I’ve been enjoying a book about survival of death by Greg Taylor (of The Daily Grail). It’s called Stop Worrying! There Probably Is An Afterlife. It makes some important points, and I found myself agreeing with many of the approaches he takes – in fact I’d been thinking of following some of them myself in my next book. It leads with death-bed visions - a good idea, as they obviously happen, and since they have not been the subject of much research are also not the focus of intense controversy, unlike mediums and near-death experiences. Nor they are easily explained as hallucinations caused by anoxia or drugs. Greg quotes some interesting stats. In a recent survey of doctors, nurses and hospice carers by Dr Peter Fenwick almost two thirds reported witnessing end of life experiences such as death bed visions. In a similar American survey more than half of 525 respondents said likewise, and in a small Australian sample everyone did. Beyond that, a deathbed vision is something that people are likely to witness within their own families – Greg mentions some instances in his own. The phenomenon even occasionally surfaces in the media, as happened in the case of Steve Jobs, whose (deservedly famous) last words were said to be ‘Oh wow! Oh wow! Oh wow!’ So it’s a good reason, as people who are involved in this area as researchers or experiencers often say, for supposing that ‘something is going on’, and not something that science can usefully say much about. There follows a chapter on near-death experiences, which among other things takes full account of the phenomenon of accurate out-of-body perception. There’s information that many readers will recognise, such as George Ritchie’s near-death experience which got Raymond Moody interested in the subject, but also some less familiar (at least to me) reports from pre-Moody times. There’s an interesting exchange here with Dr Bruce Greyson, a psychiatrist and NDE expert at the University of Virginia. Asked to comment on the ‘neural disinhibition’ approach by Dr Jason Braithwaite – a British psychologist who argues that memories can be created only if the brain is functioning, and that therefore the brain must be functioning during an NDE – Greyson points out that this claim depends on accepting the a priori belief that the mind is what the brain does. This is a problem for sceptics, because so much of their case rests upon the assumption that the evidence itself brings into question. Then a chapter on mediums, which takes in Leonora Piper and Gladys Leonard, the stars of early psychic research, and goes on to discuss contemporary studies and experiences. These include interviews with Trevor Hamilton, author of a recent book about experiences with mediums following the death of his son, and Dr Julie Beischel, a scientific investigator of mediumship. Here Greg points out that many people who visit a medium, if they are impressed at all, are affected not by the entirety of the sitting, in which many pieces of information may be inaccurate, or too general to be persuasive, but by one or two items that are so correct, and so absolutely beyond coincidence, as to get their excited attention (a fictional example is when a hitherto sceptical Demi Moore in Ghost is stopped in her tracks when the medium says, “He says ‘Ditto’”.) He suggests this might be why a study of mediums by sceptic Richard Wiseman was negative, because the scoring method averaged out such hits. Putting the evidence into a scientific context there follows a consideration of non-orthodox views of what consciousness is and how it occurs. Here Greg quotes theoretical physicist Andrei Linde, who speculates that consciousness may exist by itself, even in the absence of matter, just as gravity exists in the absence of protons and electrons. He also discusses Henry Stapp’s idea of quantum consciousness, in which mind, as a fundamental element of the cosmos, interacts with the physical world at the quantum level within our brains. As the title suggests, this is a cheerful, uplifting book, and does not spend a lot of time forensically examining the evidence in the detatched manner of a sceptic or psychic researcher anxious not to be accused of gullibility. I think Greg’s right not to waste too much time dealing with sceptical responses – although he does deal with some, especially in the chapter on near-death experiences, also reprising his debunking of Martin Gardner on the subject of Leonora Piper – but to let the evidence speak for itself. The fact is, as he stresses, there is by now so much of it, of so many different kinds, that it makes sense to take it seriously. Despite being considered a fring topic to science, everyday people from all over the world have these types of experiences regularly . . . if you delve into the literature the number is overwhelming, and it is difficult to transmit the convincing effect that taking in all of this information through years of reading has on an individual. And those researchers who have taken the time to consider all this evidence, generally come to the same view. The effect is existential, as discussed in the final chapter. Probably not many people live their lives fully aware of their impending death, and determined to make the most of it while it lasts – although certainly some do. Steve Jobs said that ‘remembering he would one day die’ was his most important tool in helping to make the big choices in life – ‘the best way I know to avoid the trap of thinking you have something to lose’. On the other hand, the impact of coming to understand that this life is just the prelude to another one can be hugely transformative. Which is why it’s such a shame that so many people alive today will never experience it, shielded as they are by scientific and social nostrums - and of course their own - about what is and is not possible. That’s why a book like this is so valuable in illuminating the subject of survival in such a clear and accessible way. I’ve come to the view that there’s a place for an approach that dispenses with all the hand-wringing about what it means, and ‘could it true?’ and the self-conscious ‘No-one’s-going-to-make-a-monkey-out-of-me-I’m-not-going-to-have-the-wool-pulled-over-my-eyes-no-siree!’ pose, but simply accepts that this stuff happens, and now let’s move on. The approach is not uncritical – far from it, it considers obvious problems and challenges – it just doesn’t let itself get overwhelmed by scepticism. Conversations go on all the time in the media about how we deal with death. Surely time we allowed our growing awareness of these strange phenomena to enter into the debate.